In reality, however, a broader assessment of Canada’s labour market performance shows things are not as rosy as Morneau suggests, particularly when measured against the United States. This is concerning because labour markets allocate our most valuable and productive resource—the work, effort and creativity of Canadians. When labour markets perform well, Canadian workers benefit from ample job opportunities, growing wages and a generally prosperous economy. Focusing exclusively on the unemployment rate, as Morneau does, simply does not provide a complete picture of Canada’s labour markets. With declining labour force participation driven primarily by an aging population, the unemployment rate has become a less reliable measure. To properly judge the strength of Canada’s labour markets, it’s crucial to use a more comprehensive measure. We do just that in a recent study comparing the labour market performance in Canadian provinces and U.S. states from 2015 to 2017. The study calculates an overall score (from 0 to 100) for each jurisdiction based on eight indicators including private sector and total employment rates, the unemployment rate, the extent of under-employment (measured as the share of involuntary part-time workers) and worker productivity (measured by the average value of goods and services produced by each worker). Higher scoring jurisdictions ranked better. Overall, Canadian provinces significantly underperformed relative to U.S. states, with every Canadian province ranked in the bottom half of the 60 jurisdictions, including the traditional economic engines of Canada—Alberta (48th overall with a score of 48.1) and Ontario (52nd overall with a score of 44.5). British Columbia was Canada’s top performing labour market but still in the bottom half (35th, with a score of 53.6). The Atlantic provinces comprise four of the five lowest ranked jurisdictions. Newfoundland ranked last with a score of 16.6. So which specific indicators are dragging Canadian provinces down? Consider the average private-sector employment rate, where all provinces ranked in the bottom third. On this important indicator, every province performed worse than every American state (except Alberta, which at 43.8 per cent ranked 48th overall). And despite Canada’s historically low overall national unemployment rate, the rate in several provinces was still higher than in many American states during the period examined. B.C. and Manitoba tied as Canada’s top performing provinces (27th overall) with an average unemployment rate of 4.8 per cent. The other eight provinces ranked in the bottom half, with the Atlantic provinces comprising the bottom four rankings. Canadian workers were also much more likely to be stuck in involuntary part-time work, when they would otherwise want full time work. On this indicator of under-employment, every Canadian province ranked in the bottom half. Saskatchewan, our best performer (31st of 60), had an average share of 3.8 per cent involuntary part-time workers relative to the total number of employed. Ontario and Newfoundland tied for worst overall on this indicator with an average involuntary part-time worker rate of 5.3 per cent. Finally, on worker productivity, another crucial indicator, Canadian provinces underperformed. An average Canadian worker’s production was valued at $111,992 compared to $152,668 for the average American worker. Weaker productivity ultimately means Canadian workers will see lower growth in compensation (wages, salaries and other benefits) and living standards relative to American workers. 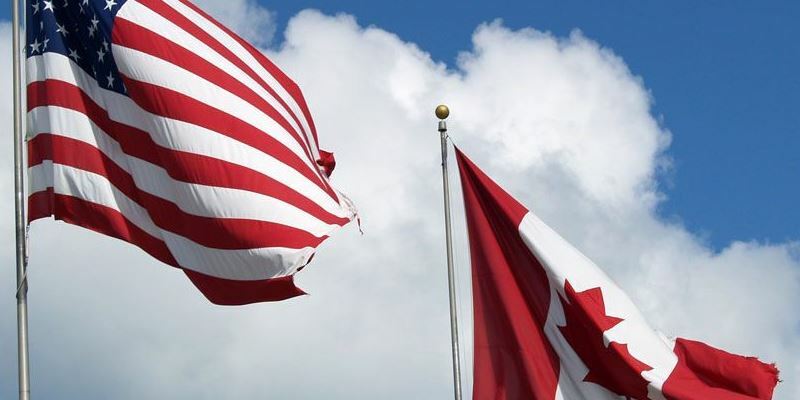 When Canada’s labour markets are comprehensively assessed and compared to American states, it becomes clear that our labour markets are not nearly as strong as the federal government suggests.